RFW Industry Days will take place in London on the 28th and 30th of November, as part of Russian Film Week in the UK. On the first day, Russian film industry professionals will introduce their British counterparts to the current trends in cinema in Russia and talk about the prospects for British-Russian cooperation in a variety of areas. On the second day, Russian filmmakers will introduce and pitch their projects to potential partners in the UK. 'The programme format for the event last year was based on networking. We faced the task of introducing our British colleagues to Russian cinema in an informal setting. This time round, we decided to enable a more intensive and productive interaction between filmmakers, and so increased the duration of the programme to two days. 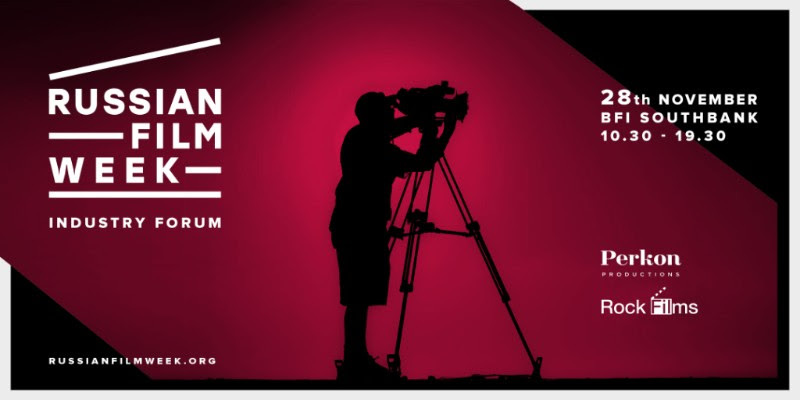 On the first day we are holding a forum, within which industry professionals can discuss important topics for Russian cinema that we will establish beforehand, while the second day will be devoted to pitching. 14 projects will be presented, those which in our opinion have the greatest potential for co-production, and in future we plan to select films on a competitive basis'. During the programme, member of the Board of the Russian Cinema Owners’ Association and Managing Director of Nevafilm Oleg Berezin will share statistics that give an insight into the state of cinema in Russia today. The next speaker, Vadim Potapov, the head of the Financial and Production Department of the Cinema Foundation of Russia will talk about State support for filmmakers in Russia. Beyond its borders, the Russian film industry is supported by the Russian Export Centre. Senior Expert for Creative Industries of the Russian Export Centre, Evgeniya Danilchenko will share an insight into the different aspects of the work the organization undertakes and outline the prospects for British-Russian partnerships. Svetlana Maksimchenko, General Director of the Moscow Film Commission, and Valery Kupeev, General Director of the Russian Office of Film Commissions, will discuss the creation and development of film commissions throughout Russia. There will be a roundtable discussion on the distribution of Russian independent cinema in Russia and in the UK. The speakers will be Yulia Muravova, General Director of Exponenta Film; Filip Perkon, President of Russian Film Week; Leonid Godik, representative of the German company Beta Film; Denis Krupnov from Reason8 Films and Wendy Reeds from Lionsgate. At the end of the first day of the film industry programme, the trends and opportunities for training future-leaders of creative industries will be discussed by Maria Sitkovskaya, Director of Moscow Film School; Katerina Cherkes-Zade, Director of Universal University; Anna Krutova, Producer, Scriptwriter and Project Leader for Russian Cinema at the Agency of Strategic Initiatives; as well as representatives of the UK film schools. The second day will feature project pitching. During the first session (from 11 a.m. to 1 p.m.), Russian and UK filmmakers will present films which are currently in the development to their potential UK partners, while the second session (2 p.m. to 4 p.m.) will feature films which are a work-in-progress (in some cases, materials from these projects will be presented for the very first time).